Jason is equally as proficient in Rock/Metal as he is in Classical and World music styles. 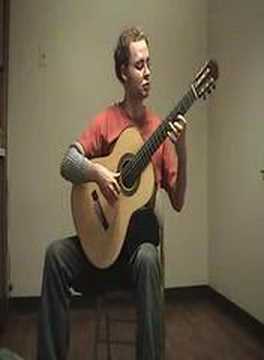 He has studied rock music at various institutes such as the "National Guitar Workshop" in New Milford Connecticut. My 1st lesson with Jason was very relaxed & professional. I learned more in 45 minutes than the last 5 months on my own in regards to reading music, rhythm, timing and playing the notes on the staff. He is very patient and knowledgeable. His diversity in music provides an understanding of where you are at and where you want to go with music. I look forward to my next lesson with Jason. Jason knows the classical guitar. I have been teaching myself for the past 1 1/2 year using an online course. Although it is a beginner course Jason has chosen to use the content of that course. He has been able to take the music and increase the skill level to an intermediate level. He has also introduce me to the modern guitar music that this course would not address. Lessons were so helpful I initially increased my sessions from 30 min. up to 45 and then up to the full hour. Jason is an extremely talented and versatile musician and highly skilled at diverse teaching methods that bring this student to the desired improved level of playing style and capability. It's really a pleasure working with Jason. He's knows his stuff and has a good way of conveying his knowledge.I will re-up with "Take Lessons" because of my experience with him. Fun, patient teacher.. Super flexible with scheduling lessons, which is awesome! !Sometimes needs to be refocused to what I'm doing.In general, I'm very pleased with how my lessons are going.